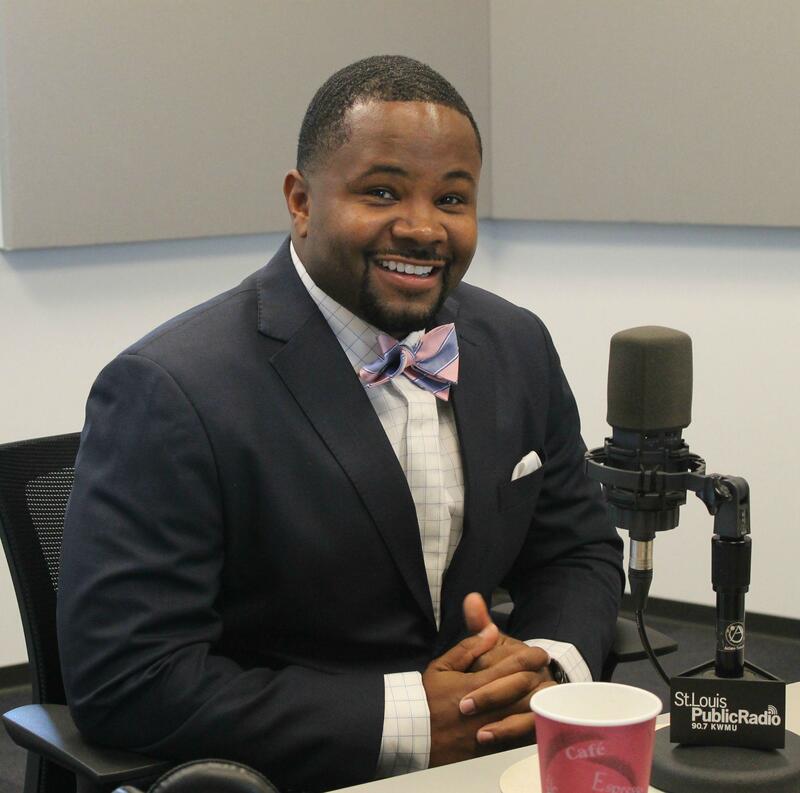 Harris-Stowe State University president Dwaun Warmack joined "St. Louis on the Air" as part of its series on regional institutions of higher education. Dwaun Warmack became president of Harris-Stowe State University in July 2014. Calling himself a “change agent,” Warmack told “St. 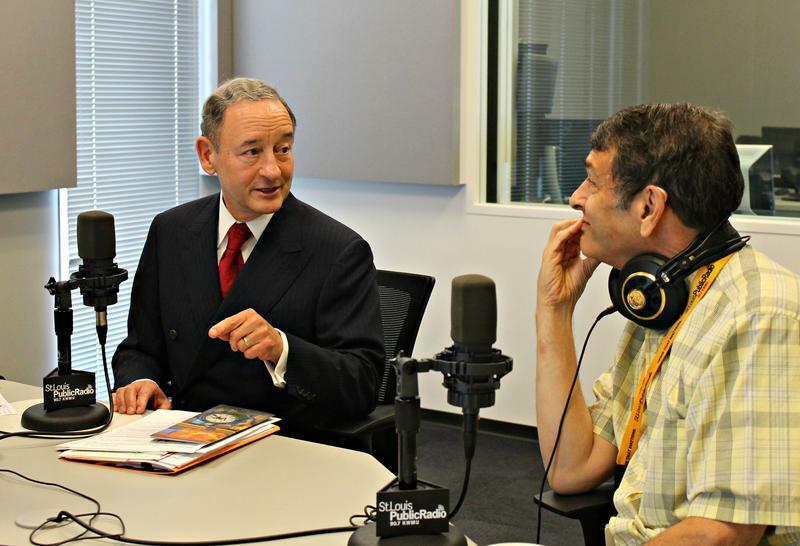 Louis on the Air” last November that his first focus was on assessment: understanding the university he meant to guide. Now, he is moving from the ‘assessment’ phase of his presidency to the ‘action’ phase. Since last November, Harris-Stowe has won the ability to offer graduate degree programs, increased enrollment, and made what Warmack called a “bold statement” on the local conditions of racial injustice exposed by the death of Michael Brown. Dwaun Warmack talks on "St. Louis on the Air" about the future of historic Harris-Stowe State University. Only weeks after Warmack took his position, Michael Brown was shot and killed in Ferguson. The shockwaves of that day were strongly felt at Harris-Stowe, a historically black university, and for Warmack necessitated a quick review of what role the school should play in the community. In the aftermath of Brown’s death and the protests that followed, Warmack strove to make Harris-Stowe a place where students could express grief, cope with trauma, and work to rectify exposed injustices. Founded in 1857 as a whites-only teachers’ college, the U.S. Supreme Court decision on Brown v. Board of Education prompted Harris College’s merger with Stowe, the area’s teaching college for black students. “Now, in 2015, it’s a rich institution that has a focus on educating the greater St. Louis community,” Warmack said. Harris-Stowe is designated as a member of the U.S. cadre of historically black colleges and universities (HBCUs). Warmack said that the school is not exclusive—in fact, it’s quite diverse—but that “There’s a need here, specifically in this community,” for a historically black college. Of the 577,000 African Americans in the St. Louis area, Warmack said, only 14% have bachelor’s degrees, and less than 4.2% have a master’s degree. A little over a year after assuming the presidency, and with time to reflect on Harris-Stowe’s extensive community involvement following Ferguson, Warmack sees the university as a catalyst for supporting the education of St. Louis’ “underserved, historically marginalized community” of African-Americans. Beyond serving as a safe space for discussion and the voicing of grievances, Harris-Stowe has undergone big changes in order to improve academic excellence and social impact. “As the only historically black college in this city…we have a civic and moral responsibility to be engaged in these types of endeavors.”—not just for students, but for the St. Louis community at large. Along with facilitating community dialogue, Harris-Stowe adopted two elementary schools in the Ferguson-Florissant school district. Harris-Stowe students—50-70 of them, Warmack said—interact with younger students, reading with them and helping them study, telling them about college, and during the worst of their community’s unrest walking them to and from school. Internally, the school has grown substantially in just the past year. From offering 14 degree programs in July of 2014, Harris-Stowe has added five additional degree programs and 11 new majors. Warmack cited a major in urban ecology and sustainability, for which the university works with the St. Louis Regional Chamber. A program in finance features a simulated trading floor, and students will learn from professionals thanks to a partnership with Wells Fargo. As of now, Harris-Stowe’s new features include what Warmack called a “robust social justice institute” that focuses on teaching intercultural competency, race relations, community policing, and criminal justice. An initiative focusing on African-American males measures success in college graduation rates, civic engagement and career progress. Harris-Stowe’s low cost may also be a contributing factor to its high application volume. Warmack said that the university has one of the most affordable tuition structures in the entire country; a student from St. Louis can receive a bachelor’s degree from the university for $5,200 a year, total—tuition, fees, and books included. Pell Grant recipients can collect over $5,730 for a school year, Warmack said, so Pell-eligible students in the area can go to Harris-Stowe and actually get a refund of $2000 with their bachelors’ degrees. Partnering with local and regional institutions, expanding academic programs, reinforcing the university’s status as a pillar of the St. Louis community—“It’s been an amazing run. It’s been a great year,” Warmack said. And as Harris-Stowe continues to grow as an educational institution and a catalyst for change, Warmack is looking far ahead. On Monday, students, faculty, and staff members of Washington University in St. Louis crossed campus for the first day of classes. They are a lucky bunch: Wash U. is one of the region’s—and the country’s—premiere universities, highly-ranked nationwide in areas from academic programs to student life to campus food options. Lindenwood University, founded in 1827, is the second-oldest institution of higher learning west of the Mississippi River—but new president Michael D. Shonrock said he won’t let the school’s long history keep it from adapting to the future of higher education. Lindenwood university has changed dramatically in order to accommodate the many challenges colleges and universities face in an era of higher costs, online classes, and increasing enrollment. Southern Illinois University System president Randy Dunn has now completed his first year in that role. As part of the “St. 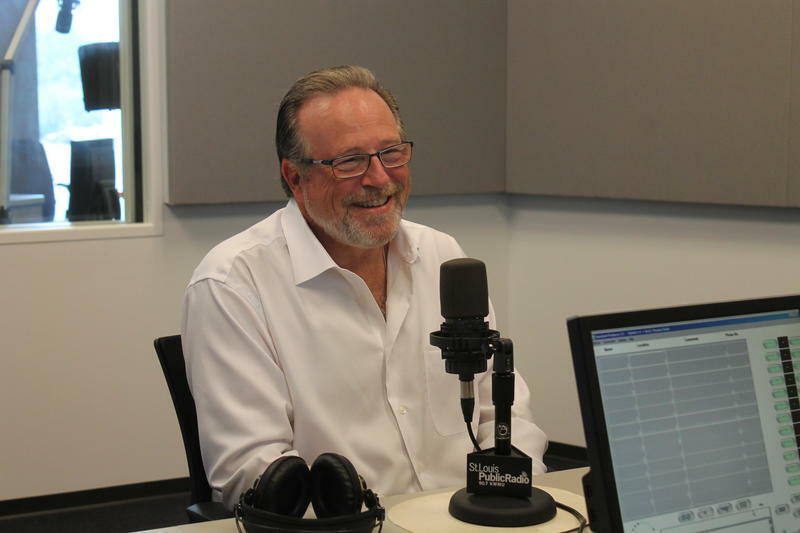 Louis on the Air” series on regional colleges and universities, host Don Marsh talked with Dunn on Monday about his first year as president and the challenges faced by institutions of higher learning. 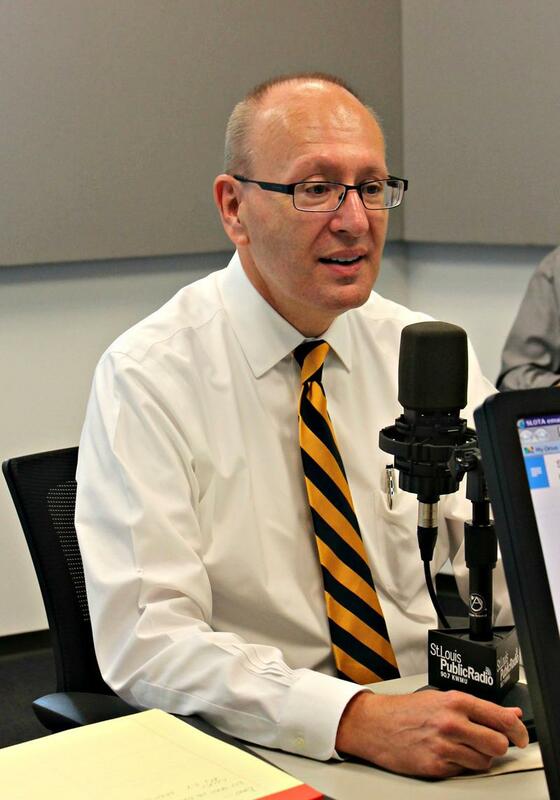 Mark Lombardi, president of Maryville University, is eager to talk about change. The first recent shift is this: enrollment at Maryville this fall tallies at 6,500 students, double the enrollment of eight years ago. “When the economy tanked in ’08 and ’09 and a lot of universities sort of circled the wagons…we sort of went out and started a massive recruitment effort outside,” he said, expanding the student body and increasing diversity with students from Texas, Colorado, and California.